In order to keep your Toyota running at its best, it is recommended that you bring your Toyota in for regularly scheduled oil changes at the recommended maintenance intervals. Regularly changing your oil keeps your engine working optimally and will help maintain the value of your vehicle in the long run. 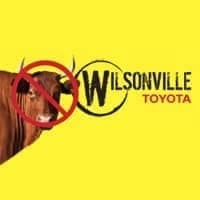 Our factory-trained technicians at Wilsonville Toyota use Genuine Toyota Motor Oil to ensure the best possible performance from your Toyota. Luckily, Toyota’s no-cost maintenance plan covers oil changes for the first 2 years you own the vehicle.